Ok ladies, listen up. Valentine is around the corner and you need this. 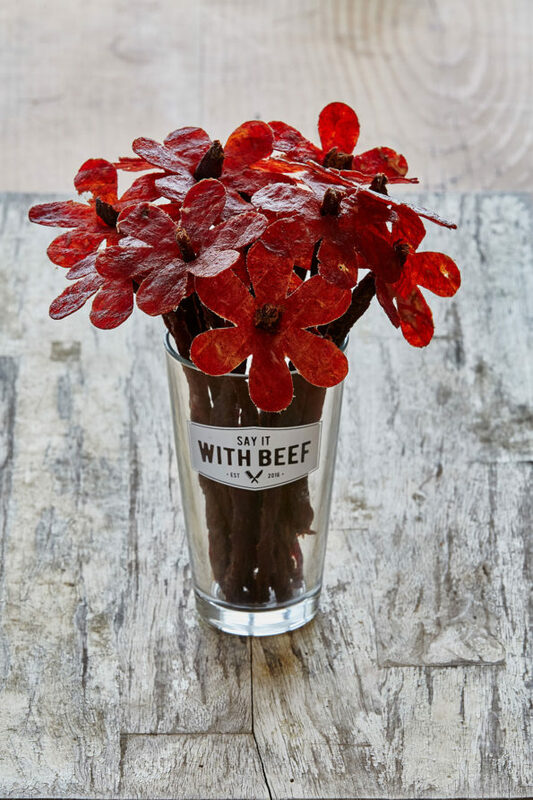 Say It With Beef is a company that sells beef jerky floral arrangements called Broquets. 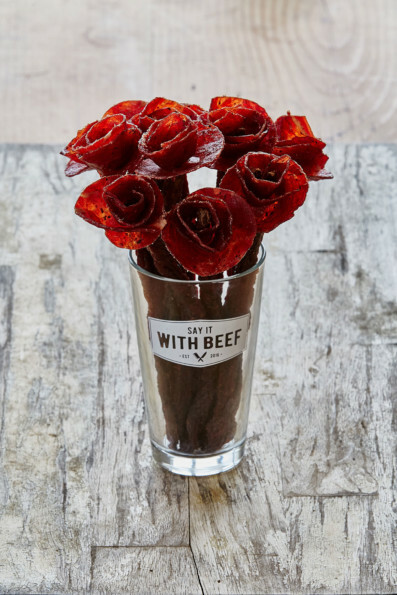 For $35 you get over half a pound of jerky crafted into the shape of roses or daises thoughtfully placed into a pint glass or beer mug. That settles it — romance is not dead. It is very much alive and well as evidenced by the fact that MEAT FLOWERS is a thing that exists.